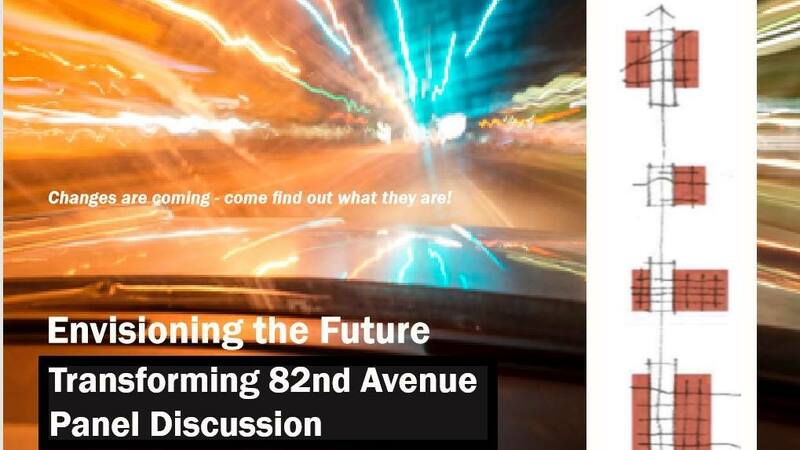 What does the future hold for 82nd Avenue? Self guided poster and design studio at 6:30 pm followed by panel discussion. Panel discussion starts at 7 pm.